One of my earliest ventures into philosophy, back in high school, concerned the question of “free will versus determinism.” If the world unfolds according to fixed laws, then everything that happens is determined by events that have gone before. Since our brains are part of this world, their state is also determined by preceding events. Hence, so are our thoughts and experiences, and, most significantly, the decisions we make. On the other hand, we all experience making choices from small things like what to eat, to bigger issues like career and marriage. We live our lives on the assumption that we do indeed have free will. The two views seem incompatible. Hence the paradox. And the question: Which is right? I suspect most of you will have pondered this question at some time or other. Many may have landed on the free will side of the conundrum, believing that we do make choices of our own volition. Some on the other side, believing that free will is an illusion. Others, seeing validity in both sides of the paradox, may remain baffled or uncertain. Over the years I have revisited this paradox many times. In my mid-twenties I wrote a magazine article entitled “And the Opposite is Also True.” There I argued that it was not a question of whether free will or determinism was correct. I postulated that they were like two sides of a coin; two very different perspectives of the same reality. From one perspective determinism is true; from the other free will is true. But as to what these two complementary perspectives might be, I wasn’t clear. Then last year, in one of those moments of insight, it all fell into place. I realized that the two fundamentally different perspectives stemmed from two fundamentally different states of consciousness. But before I explain how this may resolve the paradox, we should first go a little deeper into the evidence for both “determinism” and “free will”. Determinism, in its original form, holds that the future is determined by the present state of affairs. But this does not imply that the future is fully predictable. For a start, we could never know the present state of affairs in sufficient detail to calculate the future precisely. Even if we could, chaos theory shows that even the slightest uncertainty in the current conditions can, on occasions, lead to wildly different outcomes. Quantum theory added its own challenge to strict determinism, showing that events at the atomic level can be truly random. Today, scientists and philosophers alike accept that the future is neither predictable nor predetermined. But even though the future may not be fixed in a classical sense, this does not necessarily give us free will. The activity in our brain is still determined by preceeding events—some random, some not—and so are our experiences, including our apparent experience of free choice. In recent years, neuroscience has found interesting evidence to support this conclusion. In one oft-quoted experiment, subjects were asked to make a flick of their wrist at a time of their own choosing, and to note the position of the second hand of a clock at the moment of choosing. However, simultaneous recordings of the subjects’ brain activity showed that preparations for movement were occurring about half a second before the conscious decision to move. Subsequent experiments have confirmed these findings. Scientists have been able to detect associated brain activity occurring as much as a second or more in advance of the conscious experience of making a choice. They conclude that our decisions are being driven by unconscious brain activity, not by conscious choice. But when the decision reaches conscious awareness, we experience having made a choice. From this perspective, the apparent freedom of choice lies in our not knowing what the outcome will be. Take, for example, the common process of choosing what to eat in a restaurant. I first eliminate dishes I don’t like, or ones I ate recently, narrowing down to a few that attract me. I then decide on one of these according to various other factors—nutritional value, favorite tastes, what I feel my body needs, etc. It feels like I am making a free choice, but the decision I come to is predetermined by current circumstances and past experience. However, because I do not know the outcome of the decision-making process until it appears in my mind, I feel that I have made a free choice. Yet, the other side of the conundrum persists. The experience of making choices of our own volition is very real. And we live our lives on the assumption that we are making decisions of our own free will, and directing our own future. It is virtually impossible not to. Implicit in the notion of choice is the existence of a “chooser”—an independent self that is an active agent in the process. This, too, fits with our experience. There seems to be an “I” that is perceiving the world, making assessments and decisions, and making its own choices. This “I” feels it has chosen the dish from the menu. The experience of an individual self is so intrinsic to our lives that we seldom doubt its veracity. But does it really exist in is own right? Two lines of research suggest not. Neuroscientists find no evidence of an individual self located somewhere in the brain. Instead they propose that what we call “I” is but a mental construct derived from bodily experience. We draw a distinction between “me” and “not me” and create a sense of self for the “me” part. From a biological point of view, this distinction is most valuable. Taking care of the needs of this self, is taking care of our physical needs. We seek whatever promotes our well-being and avoid those that threaten it. The second, very different, line of research involves the exploration of subjective experience. People who have delved into the nature of the actual experience of self have discovered that the closer they examine this sense of “I” , the more it seems to dissolve. Time and again they find there is no independent self. There are thoughts of “I”, but no “I” that is thinking them. They find that what we take to be a sense of an omnipresent “I” is simply consciousness itself. There is no separate experiencer; there is simply a quality of being, a sense of presence, an awareness that is always there whatever our experience. They conclude that what we experience to be an independent self is a construct in the mind—very real in its appearance but of no intrinsic substance. It, like the choices it appears to make, is a consequence of processes in the brain. It has no free will of its own. Nevertheless—and this is critical for resolving the paradox—in our everyday state of consciousness, the sense of self is very real. It is who we are. Although this “I” may be part of the brain’s model of reality, it is nevertheless intimately involved in the making of decisions, weighing up the pros and cons, coming to conclusions, choosing what to do and when to do it. So in the state where the self is real, we do experience our selves making choices. And those choices are experienced as being of our own volition. Here, free will is real. On the other hand, in what is often called the “liberated” or “fully-awake” state of consciousness, in which one no longer identifies with the constructed sense of self, the thought of “I” is seen as just another experience arising in the mind. And so is the experience of choosing. It is all witnessed as a seamless whole unfolding before one. When I appreciated the complementary nature of these two states of consciousness the paradox dissolved for me. Whether or not we experience free will depends on the state from which we are experiencing the world. In one state of consciousness there is free will. In the other, it has no reality. Free will and determinism are no longer paradoxical in the sense of being mutually exclusive. Both are correct, depending upon the consciousness from which they are considered. The paradox only appears when we consider both sides from the same state of consciousness, i.e, the everyday waking state. I like to illustrate this with Hamlet pondering the question of “To be or not to be?” The character in the play is making a choice. And if we have not seen the play before, we may wonder which way he will choose. This is the thrill of the play, to be engaged in it, moved by it, absorbed in its reality with all its twists and turns. However, we also know that how the play unfolds was determined long ago by William Shakespeare. So, we have two complementary ways of viewing the play. At times we may choose to live fully in the drama. Other times we may step back to admire his creative genius. So in life. We can be engaged in the drama, experiencing free will, making choices that affect our futures. Or we can step back and be a witness to this amazing play of life unfolding before us. Both are true within their respective frameworks. Although, in the liberated state of mind, there may be no free will in the sense in which we normally think of it, there is instead a newfound freedom far more fulfilling and enriching than the freedom of choice to which we cling. The will of the individual self is focused on survival. Its foundation is the survival of the organism, fulfilling our bodily needs, avoiding danger or anything that threatens our well-being. In other words, keeping us alive and well, fending of the inevitability of death as long as possible. Added to this are various psychological and social needs. We want to feel safe and secure, to be feel stimulated and fulfilled, to be respected and appreciated. We believe that if we can just get the world to be way want it—and here the world includes other people—then we will be happy. In the liberated state, the ego no longer drives our thinking and behavior. When it drops away we discover that the ease and safety we had been seeking are already there; they are qualities of our true nature. But it is the nature of the ego to plan and worry, to seek the things it wants, avoid the things it doesn’t want. In so doing creates it tension and resistance, which veils our true nature, hiding from us the very peace of mind that we are seeking. The life-changing discovery of the liberated mind is that it is already at peace. Nothing needs to be done, nothing needs to happen, nothing needs to change in order to experience peace. There may still be much to do in the world; helping others, resolving injustices, taking care of our environment, etc.. But we are free from the dictates of the ego; we are free to respond according to needs of the situation at hand rather than what the ego wants. Here our will is truly free. In this penetrating book, renowned intuitive, speaker, and teacher Robert Ohotto guides us on an investigation of the Heroic Journey of the Soul. Exploring three modern-day manifestations of Fate, he shows how psychic energy from family patterns, cultural influences, generational legacy, and global evolution inform our self-concept every day, and how they often block our highest potential and “Fate” us to challenging circumstances and relationships. But, he reveals, these Fated encounters are actually the keys to our unlived life. Each chapter maps our psyche and unravels the mysterious connections of Fate, Free Will, and Destiny, transforming our Fate into Destiny and our limitations into gifts. Through this seminal work based on years of experience, discover how we’ve made two fundamental agreements with the Universe as part of our Heroic Journey—one with Fate and the other with Destiny. As we learn to dance with these two forces, they become two voices challenging and beckoning us to discover our ultimate purpose—the primary task of the modern-day Hero and Heroine; and in the process, serve to unleash the power of our Soul in delivering grace to the world. BROWSE HERE to take a look inside. Author Kristy Kaye explains techniques in detail to help you open to your inner truth—the Constitution of the Soul. With the information within, you can learn how to live from the pivot of spiritual laws, thus enabling you to reclaim your inner serenity, peace, abundance, tranquility, and contentment. 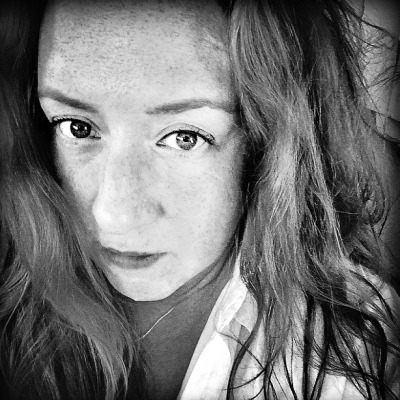 Kristy Kaye has traveled extensively, researching cultures, beliefs, and traditions throughout the world. She was introduced to religious studies and belief systems early in life, and she continues her education today. Her real training, chronicled here, began in her forties, when she met her mentor and guide. She currently lives in New South Wales, Australia. Use the ancient Indian art of Vedic palmistry as a guide to self-understanding and the creation of your destiny. • Learn to influence your future to bring forth the best qualities of heart, mind, and soul. • Read a record of the past, a print of the present, and guidance for the future in the ever changing interplay of lines. • Become aware of your innate tendencies and personality type from the lines in your palms. • Includes a palm print kit. One’s destiny isn’t carved in stone. Rather than predicting a set future, Vedic palmistry shows us how to take active steps to influence and improve our destinies once we have gained better self-understanding. Using dozens of illustrations and examples of actual palm prints, Birla demonstrates how our less dominant hand reflects all that we have inherited from the past–old behavior patterns, thoughts, desires, and attitudes–while our dominant hand (the hand we write with) reflects our resolve to change for the better. By comparing both hands we gain an understanding of where we are coming from and where we are headed. As we make positive changes in our lives, the lines on our palms will actually change to reflect our progress. An inked acetate palm printer is included with the book so that you can make an accurate imprint of your palms, allowing you to check back and see the changes reflected in your hands as you transform your destiny. Is Your Life Mapped Out? Your Mind and Free Will vs Destiny by David R. Hamilton, Ph.D. These are questions we all ask ourselves, but it’s hard to get past conjecture or gut feeling to find any definitive answers. 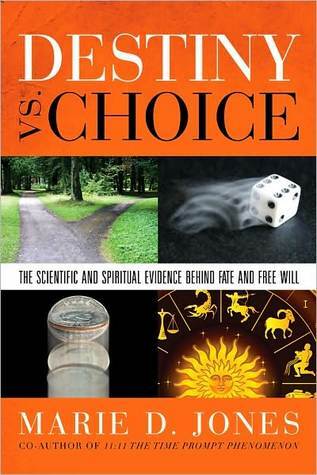 Now, in this groundbreaking book, David Hamilton looks at hard scientific evidence to bring us closer to understanding the balance between the forces of destiny and the power of free will. Exploring the new scientific research into presentiment – how the mind and nervous system are able to perceive events ahead of time – David examines the origins and nature of consciousness and how the mind influences the experiences of our lives. Drawing on research in such diverse fields as quantum physics, epigenetics, solar cycles, astrology, and even reports of life after death, David shows that there appears to be an element of predetermination in life, but also suggests that there is much opportunity for us to take control of our own destiny, allowing us to shape our lives and our world with powerful results. David R. Hamilton acquired an honors degree in biological and medicinal chemistry, and a Ph.D. in organic chemistry before working as a scientist in the pharmaceutical industry for several years. His research into the mind-body connection ultimately led him to leave that profession and become a motivational speaker. He went on to co-found an international relief charity, and he appears regularly in the media. He spends most of his time writing, giving talks, and leading workshops. David Hamilton looks at hard scientific evidence to bring us closer to understanding the balance between the forces of destiny and the power of free will. Now a bestselling author of 6 books published by Hay House, he offers talks and workshops that fuse science, the mind, and spiritual wisdom. What is the Divine Secret? Why are we really all here? What in the world is God actually doing with us anyway? What’s in store for your personal future? All these questions have haunted virtually everyone since the dawn of human existence. But what if the answers were already right in front of us? What if they were hiding in plain sight, inside a book you probably already have, the Holy Bible? The truth is: They are. There’s a divine secret that simply and clearly explains the meaning of life and exactly what’s intended for your personal future – and it’s far more sensational than you’ve ever imagined. 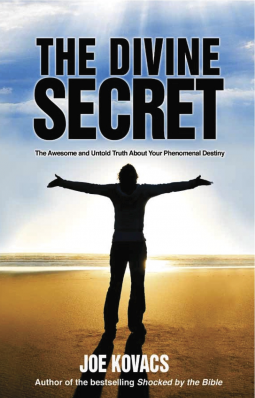 The Divine Secret: The Awesome and Untold Truth About Your Phenomenal Destiny takes on the biggest questions of all time, including why God created men and women in the first place and what’s really meant for everyone in the years to come. It instantly rocketed to become a #1 bestseller on its first day of release, and is packed with many 5-star glowing reviews on Amazon. It spans countless centuries of God’s plan, from the deepest part of antiquity, long before the creation of Earth, to the second coming of Jesus and far beyond. It explores the underpublicized reasons why we exist, why life is so challenging, and precisely what you’re meant to be doing once Jesus comes back. The Divine Secret also reveals what will likely happen to the many who never heard God’s truth during their lives – or perhaps were confused about it. That revelation, drawn from the words of your own Bible, is not what you probably think. It’s most likely not what you’ve been taught – and it’ll leave you absolutely stunned. A special, groundbreaking feature of The Divine Secret is that all personal comments from God are highlighted in red letters, even from the OLD Testament. This really brings to life God’s incredible plan. The truth is: It is. Is the path of each human life set in stone long before we even come into this world? Or are we each responsible for choosing the reality we experience? Perhaps the truth lies somewhere in between…. Marie D. Jones joins Dr. Rita Louise on Just Energy Radio where they discuss the concept of the trinity (the occurance of the number three) in our world. Marie also delves into her book Destiny vs. Choice. Terrorists are cowards. Whenever terror has struck in any part of the world, we have heard people say it is an act of cowardice. A coward runs away from action but harbours all negative feelings and does it surreptitiously. This is exactly what happened to Arjuna. Arjuna was angry, upset, sad and wanted to run away. In the Bhagawad Gita, Lord Krishna said not to be a coward. So, it is an antidote to terrorism. Shri Krishna said bravery is the way – face the war when it is inevitable and do your duty. A terrorist is stuck in his identity – he hides it, has no rationale and inflicts pain. Whereas Bhagawad Gita helps one to transcend one’s identity, encourages reason and infuses wisdom. In this sense, it could be called the antidote to terrorism. The duty of a policeman, a soldier or a king is to be impartial for the sake of the nation, whether it is their mentors or relatives. Terrorists are never impartial. A soldier is brave and a terrorist is a coward. A soldier is protecting and preventing violence and a terrorist is inflicting pain and suffering. The Bhagawad Gita is the scripture of bravery in both realms of physical and metaphysical. Terrorism is deeply steeped in hatred. An act without hatred is what Gita propounds. The Gita epitomizes the correct action – of righteousness, of upliftment of spirit and an action or duty that ought to be performed even in the most compelling situation. In the last 5149 years of the existence of the Gita, there is no evidence of someone becoming a terrorist after reading it. In fact, Mahatma Gandhi wrote commentaries on the Bhagawad Gita and it was an inspiration for his non-violent movement. The Bhagawad Gita is a unique scripture which caters to the entire range of human evolution, comprising every level of this vast existence. Gita stands for poise and equanimity and for performing one’s designated duty. Krishna does not encourage everyone to take the weapons and fight but a soldier cannot sell bananas in the market. He has to take his weapon to bring security to his people. If Bhagawad Gita is a terrorist scripture then all military academies in the world are nothing but terrorist organizations. Doesn’t this sound strange? Would the courts ban Lenin, Marx and Mao Tso-Tung, who to stay in power inflicted terror on millions? Gita encourages reasoning and dialogue while terrorists are blind to any reasoning and are closed to any form of dialogue. Krishna says, no sin begets him whose intellect is unattached and free from cravings and aversions, even if he kills the whole world. Now, the condition of an intellect free from cravings and aversions itself counters terrorism. Terrorism is done when the intellect is deeply attached and is hateful. The metaphors and the high standards of humanism exhibited in the Gita are unparalleled. Jesus had said, “I did not come to bring peace, but a sword. For I came to set a man against his father, and a daughter against her mother, and a daughter-in-law against her mother-in-law; and a man’s enemies will be the members of his household.” In the Quran, there are many verses which talk about striking terror in the hearts of the infidels and cutting off their fingers. By these standards if you still call Gita a terrorist scripture then you have to precede such statements by Bible and Quran. The fact is that it is not the scriptures that inflict terrorism; it is the mis-interpretation of an ignorant and stressed mind which justifies their actions quoting scriptures. This article is to cater to the common man. This piece was written in December 2011, in the midst of a Russian court case against the Bhagawad Gita. The case ended with the Russian court rejecting the ban. A cadre of caseworkers in fedoras and dark suits — a cross between G-men, IRS agents and guardian angels — carry out the Chairman’s will by making sure we humans don’t stray off course. They track our movements and decisions on a kind of heavenly GPS device and make small “adjustments” to our decision-making processes. The idea is to keep us on a predetermined track — on a course we know nothing about and can do nothing to change. In “The Adjustment Bureau,” God’s G-men carry out their duties on the periphery of the natural world where the curtain separating the here from there is as sheer as gossamer. They’re around us all the time, everywhere, watching and, occasionally, tinkering as needed. 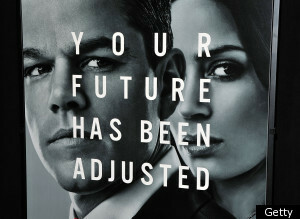 The clandestine machinations of the Adjustment Bureau are revealed to David Norris (Matt Damon) a young, rising political star running for U.S. Senate in New York. On the eve of his first unsuccessful bid for the Senate, Norris has a chance encounter in the men’s room of the Waldorf Astoria with a beautiful ballet dancer, Elise Sellas (Emily Blunt), who is hiding from hotel security after crashing a wedding reception upstairs. Their attraction is immediate and powerful. Emily is charming, whimsical and passionate. David is enchanted and transformed by her honesty. They kiss — instant soul mates — and then Elise makes a Cinderella-esque exit without ever giving David her name. The curtain is pulled all the way back when David walks in on Bureau agents “adjusting” his business partner in the conference room of their venture capital firm. He tries to run, but the Bureau minions capture him. In an empty warehouse, Bureau honcho Richardson (John Slattery of “Mad Men”) explains to David what they’re up to and then warns him not to tell a soul, unless he wants his brain to be rebooted (i.e. erased) at the Chairman’s behest. He is not to see Elise again. It’s not part of the plan. But the heart wants what it wants, and David begins searching for Elise. After three years, he finds her on the street, and their bond is cemented a bit more than with just a kiss. A romantic comedy wrapped in a science-fiction thriller with ample chase scenes and intrigue, “The Adjustment Bureau” traces David’s attempts to alter his destiny, a move that will, he’s warned, have significant consequences for the fate of his ladylove and the rest of the world. The film poses a question that is left open-ended when the credits roll: Is it possible to change our fate? Are human beings, created with a free will, capable of changing God’s mind? And if we are, what does that say about the nature of the Divine? It’s a question theologians have wrestled with throughout the ages, without ever finding a true consensus. It’s no wonder that the filmmakers appear unable — or unwilling — to provide a clear answer to such a spiritual/existential conundrum. In the film, David appears to change his fate first by chance and then through his own volition. His story changes. The Chairman does a rewrite. Or does he? In a universe ordered by such an Almighty, perhaps there is no such thing as chance.